Ken Ham (of Answers in Genesis and the Creation Museum) prepares to unleash his "Ark Encounter" upon the public. The road toward completion has been a rocky one, with controversies about tax incentives and discriminatory hiring practices often leading the heated discussions for and against its existence. 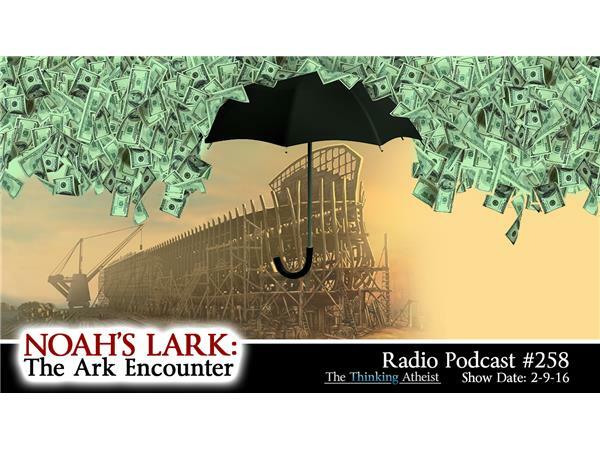 In this broadcast, we speak with several people who have followed the story closely: Mikel and Ed Hensley of the Kentucky Secular Society, and author Dan Arel.